Is Our Common Humanity a Discovery or an Invention? 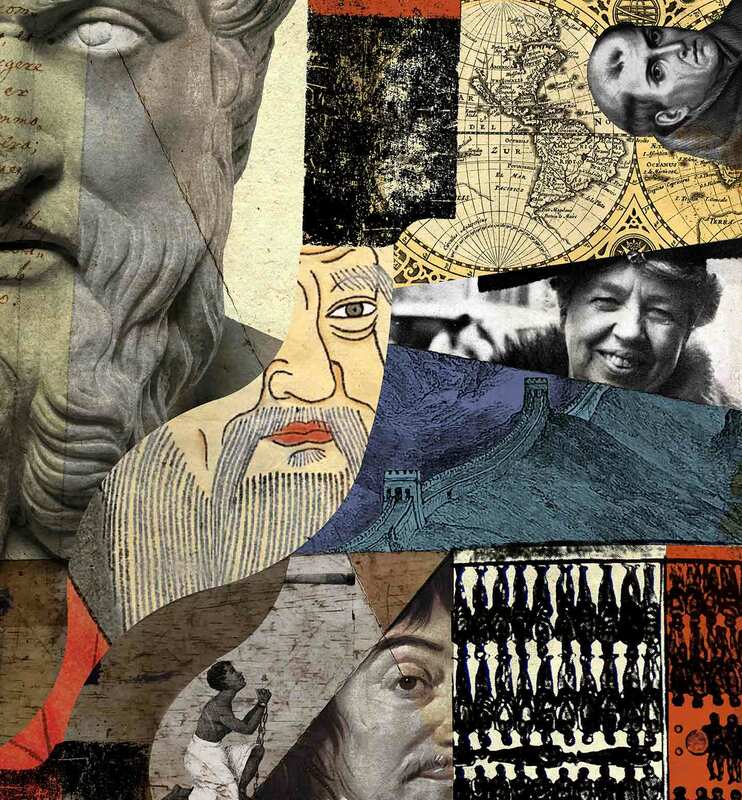 A new book offers a panoramic view of how the idea of humanity came into being. Stuurman includes a good number of philosophers and religious writers (Confucius, Ibn Khaldun, Francisco de Vitoria, John Locke, and many more) and also the sort of people we now call public intellectuals (Voltaire, W.E.B. Du Bois). Unexpectedly, he also writes about travelers and ethnographers. Covering such a wide terrain and such a long period of time means that he tres­passes on many academic fields, and I am sure the book will be criticized by scholars defending their specific expertise. Don’t let that bother you; Stuurman offers very skillful readings of the texts and figures that he surveys. Given where the book begins and ends—with equality at first unthinkable and then a commonly accepted thought—I am inclined to call Stuurman’s account a story of progress, a “Whig history.” He’s reluctant to accept this description, and, in fact, some of the earliest assertions of human equality are as good as they get, and some of the latest are radically compromised. The book certainly doesn’t claim that humanity itself has advanced over the centuries, morally or politically. Stuurman’s argument is that the idea of humanity is probably more fully developed and more widely accepted today than it has ever been. This is not to say that we have reached the end of the story, for new versions of inequality have been invented in every age, including our own. One of the most original features of Stuurman’s book is his account of “the anthropological turn,” which isn’t a single turn in time but a recurrent turning of travelers and ethnographers toward the outside and the “other.” Stuurman begins with the Greek historian Herodotus and the much less well-known Sima Qian, who lived in China three centuries after Herodotus and wrote about the Han empire and the surrounding lands. Both Herodotus and Sima Qian traveled widely, crossing the political and cultural frontiers that separated Greeks and Chinese from the people they called “barbarians.” And both suggested that the separation wasn’t as great as their compatriots thought. Again and again, the anthropological turn has produced reports similar to theirs: The natives of this or that foreign country, for all their strange customs and beliefs, are remarkably like us. Here, according to Stuurman, is a critical moment in the “invention” of humanity. But one wonders whether what he is describing isn’t more a matter of discovery than invention. When Herodotus writes that the Egyptians call people who don’t speak their language “barbarians,” exactly as the Greeks do, is this an act of inventing or discovering humanity? Herodotus’s aim is to unsettle his Greek readers and force them to recognize their fellowship with the Egyptians. Similarly, when Sima Qian visits the nomads who live north of the Great Wall and reports that their way of life is remarkably and intelligently well-adapted to their environment, this is again a discovery meant to challenge the complacent self-regard of his fellow Chinese: They are not alone in their human ingenuity. Nothing like invention is going on here. Human inequality is commonly described by its defenders as a discovery, but we can allow ourselves to think that it, indeed, is socially constructed. Many different kinds of inequality appear in human history, and each one must be overcome if humanity and equality are to triumph in the practical as well as the ideological world. We have to deal with geographic inequality (the barbarians on the other side of the border), racial inequality (whites or Chinese and the inferior “others”), hierarchical inequality (masters and slaves, aristocrats and commoners), and economic inequality (the rich, the poor, and the desperately poor). These four inequalities are very old and ever-renewed; we know them well. Stuurman adds a fifth to this list, which he thinks is peculiarly modern: temporal inequality. “We” are advanced, and “they” are backward. This is a modern version of inequality because it implies an acceptance, at least theoretical, of a future egalitarianism. Think of the “civilizing mission” of the modern imperial powers: The idea suggests that all human beings are capable of becoming civilized. It’s just that we are already there, and they have a long way to go—and need our guidance on the difficult journey. The theory of “modernization” is another example of temporal inequality: We are already modern; they have fallen far behind. The others definitely can catch up; the inequality isn’t permanent, though we are likely to insist for a long time that they are not yet where they should be. The longest chapter in Stuurman’s book deals with the Enlightenment, which stretches in his account from Descartes (and Poullain de la Barre) to Condorcet—­roughly a century and a half. This is Stuurman’s own field of expertise, and he treats the Enlightenment as a major turning point in human history. Still, the story he tells is nicely balanced: celebratory but also qualified (temporal inequality is invented in these years, though there were hints of it earlier on). He gives the revolutionary Declaration of the Rights of Man (1789) the recognition it deserves, while acknowledging contemporary disagreements about the rights of Jews, blacks, and women. The Enlightenment doesn’t only mark an advance in the long march of humanity and equality; it also leads to a significant change in the tempo of the march. There is a speedup, which many people have noted when writing about the pace of everyday life in the modern age. But the speedup with regard to humanity and equality is quite specific: It is a political acceleration. Until the 18th century, there were many writers asserting our common humanity and many others denying it—and some, as Stuurman notes, doing both at once. But then something changes. Beginning with the American and French revolutions and developing in the early and mid-1800s, social and political movements committed to egalitarianism suddenly appear in Western Europe and the United States—“suddenly” given the scope of Stuurman’s two-millennia history. Now movements that call themselves “internationalist” aim to draw all humanity into the struggle for equality. This is something radically new, and with it comes the idea that theories about humanity and equality must lead to a practice of humanity and equality—to a radical politics. Abolitionism, the labor movement, feminism in its several waves, the civil-rights movement, and the gay-rights movement all have their origin in this moment when political action became, for people like us, obligatory. Michael WalzerMichael Walzer is a former editor of Dissent and author of the forthcoming book A Foreign Policy for the Left (Yale University Press).